Went to MaMa’s (again) today, then hang out with Kiya at Self Edge for a bit. Drove down to the condo to sell the rest of the furniture, everything is gone now. 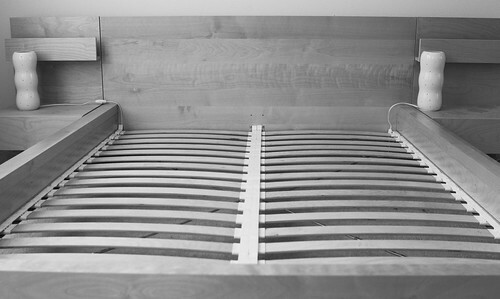 Before we disassembled the bed I snapped today’s photo, just thought the geometric shape was interesting… and I didn’t have time to go take more pictures today. It was less than 2 years ago when we went to Ikea to furnish the first condo, before I left I starred at the emptiness, felt strange and uneasy.